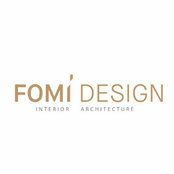 FOMI Design is an interior design studio based in London, willing to go beyond the conventional to deliver exceptional spaces, through a fully integrated design and project management service. Our unique individual approach with dedication to detail and functionality results in developing sophisticated designs for residential and commercial projects. At FOMI Design we provide a high-level expertise and through attentive study of a project's context and a client's lifestyle, we achieve the truly extraordinary. Commented: Light, Warm or Dark Shades?We definitely would choose dark shade, which will complement all kinds of interiors from contemporary, modern to classic, by creating a nice contrast to the space.